The Canty InFlow™ system may be used for testing in accordance with ASTM D7596 ‘Automatic Particle Counting and Particle Shape Classification of Oils Using a Direct Imaging Integrated Tester’. The test method is designed for use in analytical and on-site in-service laboratories. Periodic sampling and analysis of lubricants have long been used as a means to determine overall machinery health. In accordance with the scope of the method, a direct imaging integrated tester, such as the Canty Inflow™ Process Particle Analyser, provides data on particle count, size, type and soot content to complement a number of physical property and analytical tests such as calculation of dynamic viscosity and atomic emission spectroscopy (AES). 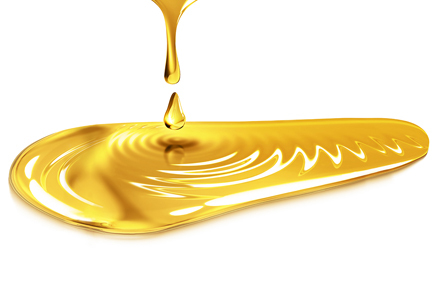 Particles in lubricating and hydraulic oils are detrimental because they increase wear, clog filters and accelerate oil degradation. Particle count is an indicator of the capability of any integral filtration systems to clean the fluid and an increase in the concentration and size of wear particles is symptomatic of incipient failure or component change out. The Canty Portable InFlow™ system provides continuous, microscopic, non-destructive viewing and particle size analysis with two dimensional results. Combining the latest developments in Ethernet technology with advanced camera and process light vision systems, the Canty Portable InFlow™ system provides continuous, microscopic, non-destructive viewing and particle size analysis with two dimensional results. The system offers zoom and focus ability, variable lighting, and multiple objective lens packages to cover a particle size range of 0.7 microns (µm) to 20,000 µm, which more than adequately covers the test method range of 4 to 100 µm. It is a requirement that particle shape is determined for particles greater than approximately 20 µm in length and that they are categorised as follows: sliding, cutting, fatigue, non-metallic, fibres, water droplets and air bubbles. CantyVisionClient™ software is installed on a desktop or notebook PC and connected to the InFlow measurement system via Gigabit Ethernet network. Live images of the fluid can then be viewed from any networked PC and remotely analysed by the software. For more information on the InFlow Portable, please click here.